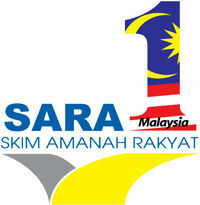 The registration of newly-launched Skim Amanah Rakyat 1Malaysia (SARA 1Malaysia) will start on Monday 30th January 2012 and will extend for a year or upon full subscription. SARA 1Malaysia is a hybrid of a unit trust investment and a loan product. The scheme expected to offer 32.16 per cent return on investment per annum. However, the net return is only 12 per cent per annum if the investors are taking loan. The scheme was not a get-rich-quick scheme but a government-initiated savings and investment scheme to educate and help low-income earners to invest since they are not financially capable. The government will provide a subsidy as much as RM100 million to participating banks to pay the interest. The participating banks are Maybank, CIMB Bank, RHB Bank and Bank Simpanan Nasional. The total financing offered is RM500 million with 100,000 householders expected to participate. The eligible applicants are a household with monthly income of RM500 to RM3,000 and are not beneficiaries of other special schemes by the government managed by Amanah Saham Nasional Bhd. Can student like I apply this scheme? Ahmad Hati, students are not allowed. Oh. Too bad, i’m interested to join. Is there any investment that suitable for student? There are many low risk investment such as ASB and AS1M. If you consider about 8% being too little means your initial investment is too low. Trust me mate I would kill to park some of my money in something as safe as ASB but if I would be allowed to do so. What about a divorce woman who live alone but with no dependent? Tq. chun, I think you can but better confirm with the banks. Bryan fang, it is for low income earner who does not have enough savings.